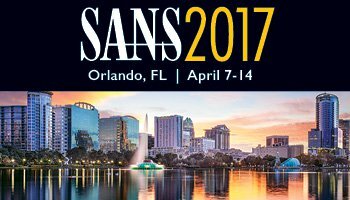 Join NH&A along with ESET and CYPHORT at SANS 2017. Attendees will have a chance to attend 40+ hands-on cyber security courses taught by the industry's top instructors and network with like-minded security professionals facing similar challenges. NH&A, LLC - ESET Product Demo from NH&A, LLC on Vimeo. NH&A provides organizations premier, cost effective solutions to meet todayпїЅs most demanding security needs. We offer support with network design, implementation, training & support, and equipment lifecycle management. Our certified sales solution consultants offer experience and knowledge to help you find the best solution that's fit for your organization. For more information on our various security solutions, please see our line-card. Cyber security attacks and breeches are occurring at an alarming rate with most of us directly affected. With security landscapes constantly evolving with new kind of threats, new classes products aim to help organizations secure their most important assets. The problem with these products is their standalone approach to security. In addition to being expensive to implement and maintain, standalone solutions often times result in inferior security outcomes and are often considered a single point of failure. Cyphort puts a stop to this with the introduction of the Adaptive Detection Fabric. The Adaptive Detection Fabric (ADF) is an innovative, distributed security analytics platform that stops threats undetectable by traditional in-line security tools, and gives back valuable time to security incident responders by consolidating, prioritizing and automating events from multiple tools. ADF provides continuous insight and analysis of web, email, and lateral-spread traffic to quickly discover and prioritize advanced threats early in their life-cycle. It also collects and correlates data from virtually any security tool to provide the users with a consolidated time line view of all incidents pertaining to a host or a user. In addition, ADF provides automated (or one-touch) mitigation capabilities that strengthen existing in line security tools against similar threats in the future. ADF delivers significant economic value with a cost effective deployment model, as well as cost savings resulting from fewer breaches and faster incident response time. Today's threats can't be fought effectively by just building on technology from the 1990s. Fighting modern malware is a cat-and-mouse game in which we face teams of skilled and (financially-) motivated bad guys. So security companies need to refine their products constantly, both reactively and proactively, to provide effective solutions, adding different layers by which modern malware can be detected and/or blocked. A single point of protection or a single method of defense is simply not enough. That is one the reasons why ESET too has evolved from an antivirus vendor into an IT security company. ESET is one of the few security vendors able to provide a high level of protection based on more than 25 years of research. This allows us to stay ahead of malware, constantly evolving our technologies to go beyond the use of standard, static signatures. Our unique combination of endpointbased and cloud-augmented technologies provides the most advanced security against malware on the market. Thank You For Registering for SANS 2017. See You There!.